No matter how many coats I possess, there's one style that remains a favorite that I cannot resist from buying - it's the good'ol fashion cape coat. Something about being draped in one that just makes you feel so good...maybe because subconsciously it makes me believe that I could fly like Superwoman or something. This particular style in vibrant green has me green with envy. 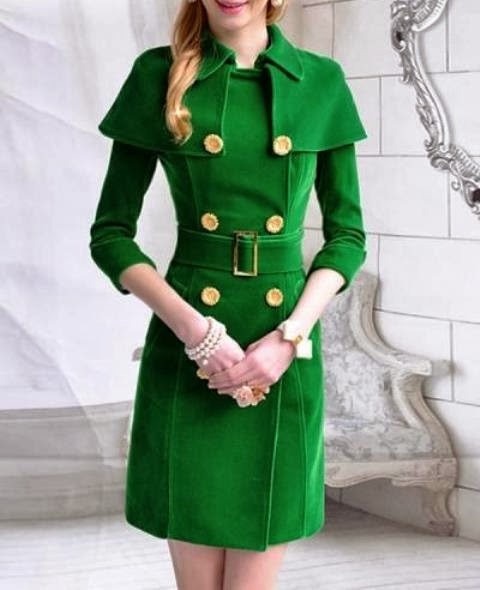 Doesn't this coat put you in a good mood? Very Mad Men-ish. I'm all about a classy tailored look.